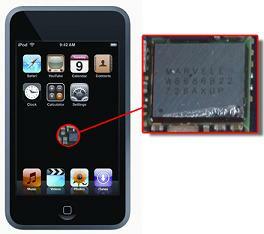 iPod Touch from Apple is the first iPod to include WiFi capability. Before the device was released, pictures were shown that included a Bluetooth connection icon on the top right corner of the screen next to the battery meter. Users were excited about the idea for using a Bluetooth headset to listen to music or sounds from the iPod Touch. Finally, the iPod Touch was released and a team from iFixit wanted to find out if there indeed was a Bluetooth chip inside of the device. iPhone firmware updates have included either some bug fixes or a completely new feature set. The release of the iPhone in the European markets this past week has unveiled pictures of some new iPhone controls that might just make it to the US. 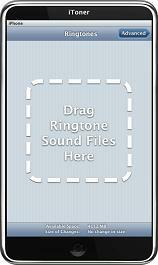 Apple has updated iTunes to include ringtones purchased through the music store to transfer on the iPhone. iToner released ringtone software in early September that allowed iPhone cell phone users to add ringtones where it was not possible before. Well, after Apple has updated iTunes to version 7.4.2, iToner need to keep up with the times. 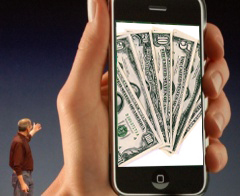 Apple is preparing to up the ante when it comes to iPhone production in 2007. TheStreet has reported, citing people familiar with Apple, that there are plans to double iPhone production in the fourth quarter of 2007. France Telecom and Orange have announced along with Apple that they are the exclusive Apple iPhone distributor in France. This announcement comes in as many days after the O2 UK and T-Mobile Germany iPhone deals. The latest deal with Orange and Apple was announced by France Telecom CEO Didier Lombard at a conference in Hanoi. T-Mobile Germany has announced with Apple that they are the exclusive iPhone carrier for the region. Germany will be receiving the 8GB iPhone as O2 in the UK announced yesterday. 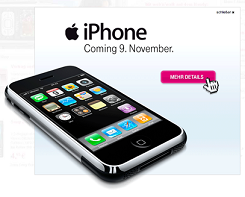 The release date for the iPhone cellphone will be on November 9th, as the graphic from T-Moilbe’s own web site shows above.